We should always have our thoughts tuned to heavenly things [Colossians 3:2]: …most of all meeting Jesus. I am reminded of Jesus’ encouraging words in John 14. He actually began this discourse with His disciples—and us by extension—in the previous chapter talking to Peter about “following” Him. They would not be able to follow immediately, but would inevitably. In ways they have yet to appreciate, the disciples will follow in the Savior’s footsteps. He didn’t use the double “not.” The logic behind this would be “Whatever I tell you is true.” But this is a defensive posture as if Jesus needed to defend His truthfulness. But I don’t see Jesus needing to prove His truthfulness .. He had no need to state something that after 3 years with them was obvious. He had never lied to them but told it straight; so, He already earned the right to begin His remarks with “Trust Me!” He doesn’t need to defend His relationship with them. They have learned enough to know by now Who He was and that He was trustworthy [John 6:68]. Jesus never did say things to His disciples simply because it was something they wanted to hear. He was always brutally honest. Jesus didn’t filter truth into half truth with the less desirable details omitted. It was a season of deep grief that is soon to darken the sky of the disciples’ incomplete understanding. Speaking comfort to them is an understandable approach but never at the expense of preparing them for spiritual battle (Remember the beatitudes.) Jesus encouraging instruction to “trust Him” was as sufficient as it was wise to inspire hope. 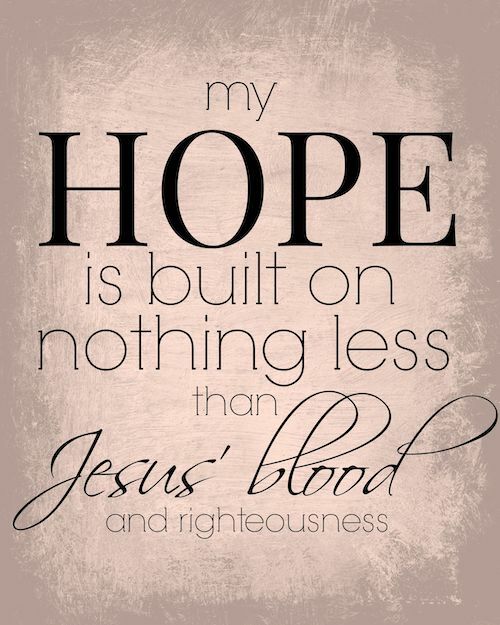 Jesus is speaking hope because He is speaking truth, living truth we can anticipate with all the assurance that our faith confirms. [John 8:32]. Truth requires this discussion!! He wasn’t going to filter out the sufferings that come with discipleship. [Revelation 2:10] He wasn’t selling them a faithfulness that thought life was going to be all praise services. Jesus wasn’t selling them a hope that hides out from the sufferings awaiting Him. They needed to know what they needed to know to carry their own cross in following Him. So what did He say, exactly? Scholars provide a variety of explanations. When Jesus told them “I go to prepare a place for you.” some add “because in my Father’s house are many rooms.” It suggests that Jesus is clarifying: I am preparing your room for you in my Father’s mansion. There are many rooms in my Father’s house. Trust me when I say that there is room for each of you and every believer! My Father’s house has many rooms; if that were not so, I would have told you. That is, according to scholarship, to say: “If I were leaving you for good and you will never see me again, I would not have waited until this last moment to declare it to you!” …and I agree. Jesus’ trustworthiness and truthfulness were never in question. Jesus was sharing with His disciples a divine perspective on the events of the coming days. If His departure to prepare our accommodations to be with Him were not true, Jesus would have told us that! He wasn’t trying to paint a hopeful picture built on a false perception. He was revealing an exciting truth with them that the Father felt they were ready to hear and that they—and we—needed to hear! Of course it brought hope. When God speaks, His words always do. This entry was posted in Finding God Thru Prayer. Bookmark the permalink. I always appreciate your feedback as a returned pastor. Thanx. So filled with hope I was, as never before, when I experienced Redemption. My soul leaped for joy when finally that need was met!!! Finally I could basically understand Jesus’ message but most of it was still a mystery-but I knew I had the Hope and the Truth!! Amen! It is said, “The proof of the pudding is in the eating.” This might be a rather simplified way of “pudding” it but our reality in Christ lies not in the logic of the message alone but, anecdotally, in living it out.